Genoptix tests for diseases involving blood and bone marrow (hematology), as well as other organs throughout the body such as breast, lung, colon, and skin (solid tumors). It’s important to learn about the testing options your doctor will order on your behalf so you can better understand how the test results can impact your medical care. Oncology testing is complicated. Understanding your payment options shouldn’t be. 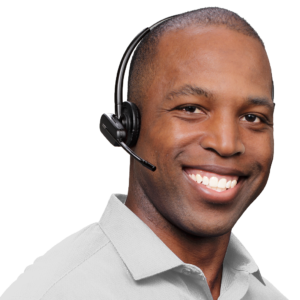 If you have a question about a bill, contact us by phone, at +1.800.755.1605, or by emailing us at billing@genoptix.com. How is Genoptix involved in my care? Your doctor recently ordered diagnostic testing from Genoptix. Testing bone marrow, blood, lymph node, or other tissue can be complex, and may require the expertise of a specialty lab like Genoptix. Our services provide your doctor with the best information for your diagnosis and treatment. We believe every patient should have access to the best possible care. That’s why we work directly with you to make sure our testing services are accessible and out-of-pocket costs are transparent. We support patients with a variety of payment options. Call +1.800.755.0802 to discuss costs and payment options. We make it as easy as 1, 2, 3. Your financial responsibility, if any, will be at our average current In-Network rates (if applicable), and/or your In-Network co-insurance benefit plan level, regardless of our contract status with your insurance company, as allowed by federal and state laws. Call us to see if you are eligible for our Patient Financial Assistance Program, based on your household income. If you pay your invoice within 30 days from the date of the first statement, you are entitled to a prompt pay discount. Call us for more information. 6:00 am to 5:00 pm PST.